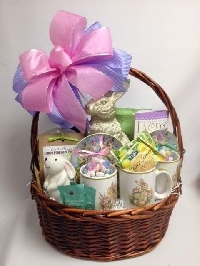 For this swap you will send your partner a small flat rate box ($7.90) stuffed with Easter goodies. This can include things like candy, a little stuffed toy, anything you can find that’s Easter themed and would like to send. Please no trash and anything edible must be factory sealed. Please only send things that you would find joy in receiving. REQUIREMENTS: No recent unexplained threes, no ones, you must have completed a type 3 swap and have a five rating for that swap, please only join if you can afford to send it. PLEASE DO NOT JOIN MY SWAPS IF YOURE SUPER PICKY/ HARD TO PLEASE! If your dislike list is longer than your like list this probably qualifies you as super picky and hard to please! That makes it difficult for people to send things you’ll like that you won’t rate down for! If we wanted to send in a basket could we use a bigger box? @bjansen sure thing! The reason I ask small is to ensure people know how much it will be so they know if they can afford it or not, but I really like the idea of sending in a basket! Super cute! @frankieswaps you could also do the flat envelope for $7.90 as well and be able to include bigger stuff and it would mail for same price.